This Spyro Compost Mixing Tool is made of heavy duty steel and available in both 37" (steel) and 30" (plastic) sizes. It has a soft but firm, large T-Handle grips for easy handling. 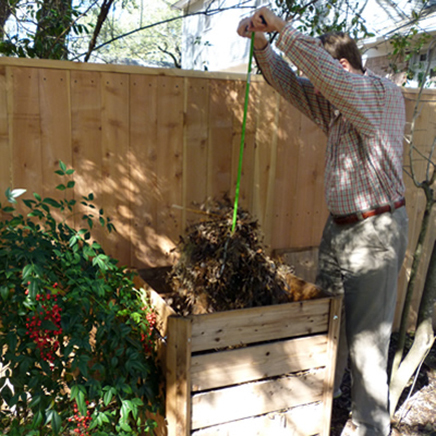 The large fold-down "wings" are designed for better mixing of compost. Handle is 9"W X 1-1-4" Diameter. Wings on bothe models are 4.5" long and made of solid steel. Includes a hook for easy storage on a wall. One Year Ltd. Warranty. This Spyro Compost Mixing Tool is made of heavy duty steel and available in both 37" (steel) and 30" (plastic) sizes. It has a soft but firm, large T-Handle grips for easy handling. 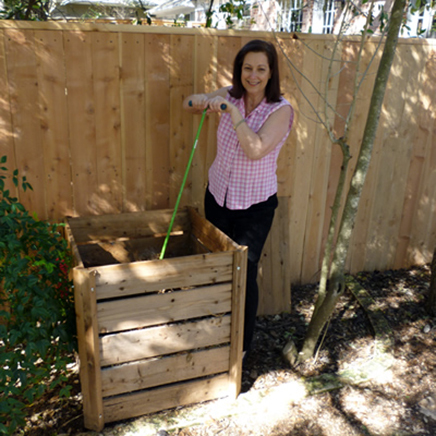 The large fold-down "wings" are designed for better mixing of compost. Handle is 9"W X 1-1-4" Diameter. Wings on both models are 4.5" long and made of solid steel. Includes a hook for easy storage on a wall. One Year Ltd. Warranty. NOTE: 30" Plastic version is available as a promotional item with some of our composters. Ask about this offer!